PS: we still need to see how a points gap between Hamilton and Vettel plays out, as I can see the red team bringing engine 3 a race or two early, knowing that they will take an engine penalty later by introducing a 4th spec unit. If you can soak up a 10 place penalty in Japan or so to avoid a mechanical DNF, it may be the best strategy I think. 20 years of long term planning experience? The worst case scenario for Vettel would be a mechanical DNF, close to the end of the year, in such a tight championship battle. Hamilton showed that making up 10 places in this year's field isn't very hard. So a strategic penalty on an easy- to- overtake circuit to ensure a fresh engine that can be ran hard at the last events would make a lot of sense. Hamilton nursing a 5,6,7 race spec 3 Merc against a turned up race 1,2,3 spec 4 Ferrari would be a covetous advantage in my eyes. That's all well and good and perfectly logical. Just that you are presenting it as a fact and a necessity, when both teams are clearly on top of the situation (for now) and they are going towards avoiding penalty. However, it's possible they might just push each other towards using a lot more often high-power modes in races, which will result in a need for another component set to avoid mech DNF. In my post, I use the phrase "I can see the red team..." I thought that would be enough to show it was an opinion, not fact. Who knows? They both might have a similar idea, and it will balance out. Crazy things happen in close seasons, and it's been a long time since 2 different teams were this close, so who knows? Depends on how Red Bull does in the final third of the season, if they keep improving, it might be too risky to pull this off. and that's without factoring things like increased risk of collision due to starting further back. I doubt that reducing the PU mileage by 30% (?) is going to increase the usable PU performance level much at all. Taking an unnecessary penalty not only costs Vettel points in that race but could gain Hamilton as much as 7 more points. The costs are likely much worse than the benefits of deliberately taking a penalty to use 4 PU. Completely agree! That was my concern when I mentioned the points spread making the decision. I would weigh running a fresh, upgraded PU/trans against a long used engine. I wouldn't do it with another spec 3 unit. However, the chance to take 21 points over second place in the last 3 races with a big power advantage is very tasty, and may well be worth the risk! Another point to factor would be the statistical likelihood of a safety car at the race in question - because that can completely negate the penalty of starting at the back depending on the timing. However, that likelihood is also usually higher on a track that’s easier to overtake, so it’s a tough one. That said, if for whatever reason you’re forced to start at the back anyway (e.g. Hamilton in Brazil last year) it’s a slam dunk to take a new one and then it could turn into a positive for subsequent races. What's the story about Marchionne being ill? They mentioned it on 5Live text coverage, but it was the first I've heard about it. What's he ill with? 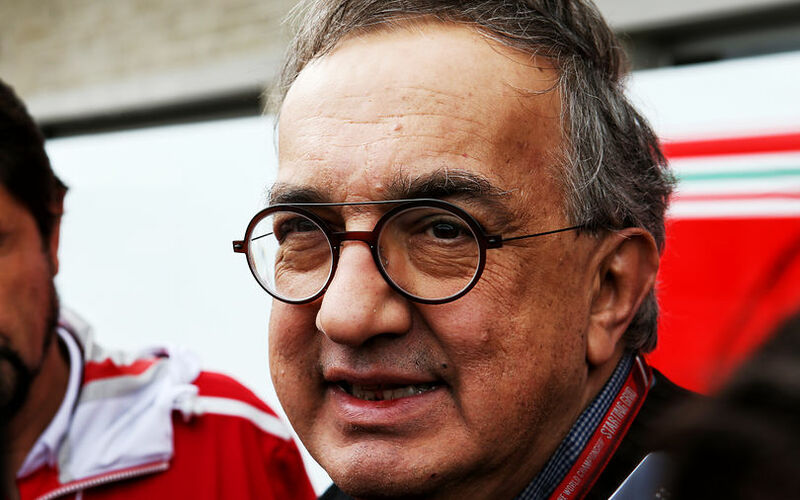 I still can't figure out if Marchionne is genuinely in serious condition, perhaps on the brink of dying, or if this simply means he lost the power struggle and is out a year or so earlier than planned. I don't think his shoulder surgery or complications resulting therefrom are the true cause for the change in power right now. Curious to see how John Elkann does as chairman and Camilleri as CEO at Ferrari. What ever it is he is ill with, it has been decided that he would not be able to return to his job, so a replacement has been appointed. i am not saying it is the case with Marchionne, but i have a friend that a cancer bigger than a pizza has been removed from his shoulder.